Since Apple has replaced Final Cut Pro 7 with Final Cut Pro X and discontinued Final Cut Server, Xserve RAIDs and Xserves, many pros have started preparing for a post pro age at Apple, meaning they have expected Apple to enter a post professional age and leave post production companies behind. 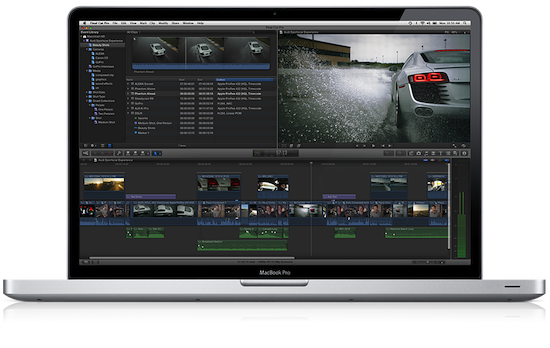 Since June 2011, when the new FCPX entered the market, a lot has happened, though. Apple has delivered the awaited updates to FCPX which bring back most of the features people were missing in its original release. And of course FCPX is much faster than FCP7 and offers rich automatic metadata extraction, which makes it very interesting for small shops without dedicated archivists. So today I would say FCPX can be the right choice for many post production environments, especially if you consider the incredibly low price. At about the same time when FCPX was released, OS X Lion Server became available. It includes Xsan metadata controller functionality, while OS X Lion includes Xsan client functionality. The Xsan software on both server and client is free, and as of today I would say that Xsan is the most powerful SAN filesystem available for Mac environments. Even if you need to support Windows and Linux clients, I would say that Xsan is a better choice than any other SAN filesystem. Especially if it comes to permission management regarding POSIX and ACLs. And did I mention it’s free? Many people are not happy with the fact, though, that Apple doesn’t provide rack mountable servers anymore, so on which machines do you install the Xsan metadata controller software? Though some people might shake their heads now, I can say that two Mac mini servers using Thunderbolt/Fibre Channel adaptors make powerful Xsan MDCs. Just buy them with as much RAM as you can, mirror the system disk and use the internal Gigabit interface for Xsan metadata, and an additional USB-Ethernet adaptor for management purposes and directory access (like Active Directory or Open Directory). I just built a system like this with a system integrator partner of mine. Fibre Channel switch, RAID system, two servers, metadata switch, wires, setup and portable 19 inch rack cost around 20.000 EUR net incl. basic setup. The Xsan volume happens to have 36TB of free space, of which you can safely use 29TB net. With this setup you can get up to 600MB/s read and write performance on a client, with the lowest latency possible in a SAN environment. You can’t beat these data with any other system, meaning for this price you won’t get more performance, lower latency, more space or more robustness. Still, one question remains: is Apple going to further develop OS X Server and Xsan or might these products be dropped soon? Today Apple answered these questions by announcing that OS X Mountain Lion will be released this summer. According to various web sites, there will be a server version and both server and client are going to include Xsan, so the next major Apple OS is going to continue support for our filesystem. So we can say that today Xsan is a very powerful filesystem for Apple-based video production environments at an unbeatable price point and with a safe future for at least two years before the next major OS release shows up. But even with a new major release after Mountain Lion we can expect FCPX and other related apps to still support Mountain Lion, so if you buy an Xsan environment today, you might be safe for at least four years. And consider the worst case, that Apple sooner or later drops Xsan support. Then it would a) be totally easy to migrate Xsan to StorNext, and b) you would not have lost any money, as the whole setup is very cheap and its components can be used for other tasks if you take them out of your Xsan environment. But anyway – this would be the worst case, and today I would say that combining FCPX and Xsan makes an unbeatable production environment. It’s cheap, you get rich metadata for free without taking much time to enter data manually, and it’s open and flexible in terms of permission management and support for Windows and Linux if you need that, too. In addition Tim Cook seems to care for enterprise business and professional markets, so this might help us here, too.